Our client Total Support Services engaged with us to redevelop their corporate website, to help bring the site inline with their evolving brand image. 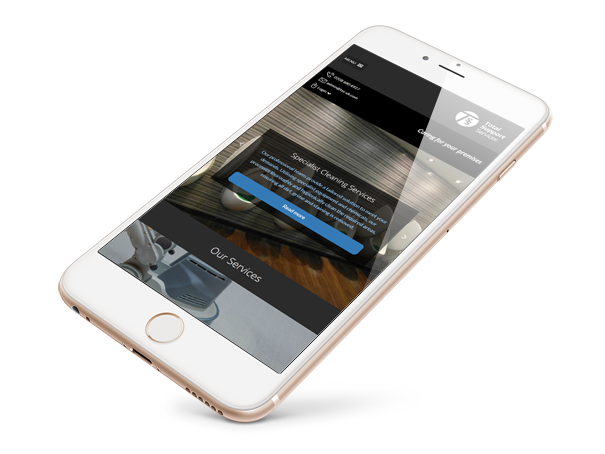 Providing nationwide cleaning, security and maintenance services to a wide range of businesses, TSS were keen to ensure the rebranded site helped show them in the best light possible. In collaboration with Moomo Limited we met with TSS to discuss how we could improve their web presence and incorporate a client and staff dashboard to facilitate access to downloadable documents, accreditation and staff training records. We identified WordPress as the best platform to fulfil the needs of the site and developed a responsive template to meet their wishes for the look and feel of the site. 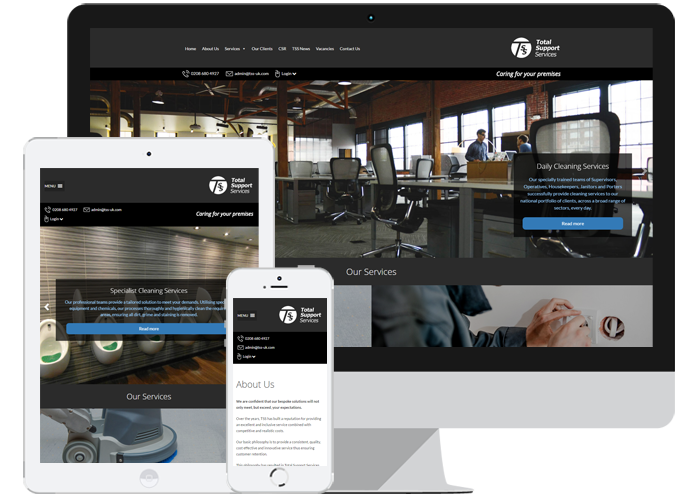 TSS use white on black branding throughout their business so we have maintained the consistency of their brand through their website. The site is fully responsive, adapting to suit the device it is being viewed upon whilst maintaining ease of access to all core features within the platform.